Just a brief note to share the exciting news that my chapter “This Is Not A Chapter About Jane Harrison: Classicists at Newnham College, 1882-1922” has now been published! It appears in Women Classical Scholars. Unsealing the Fountain from the Renaissance to Jacqueline de Romilly, edited by Rosie Wyles and Edith Hall, and I’m really delighted to have contributed to this fantastic volume. It’s bringing together whole swathes of previously forgotten women scholars and shows the kinds of contributions have made to classics as a discipline over the centuries – often despite the expectations or censure of men. My particular chapter charts out how we go from a situation where women aren’t accepted to study at Cambridge in any capacity to the situation, after the first World War, when women are established in the teaching faculty of the university, women students are an accepted presence at university lectures (despite the continued objection of some individual lecturers), and female academics are developing their own chains of inheritance rather than relying on men. A lot of this work drew heavily on material from the Newnham College archives, to whom I owe a great debt of thanks; I wrote about some of the hidden gems I found in this post about what the departmental photocopier looks like in 1903. For me, this chapter is a marker set down for future work – but for now, the monsters call again. One of the things I discovered when I was traipsing through the Newnham College archives, more specifically through the minutes of the Education Committee, was a set of exchanges that demonstrated how very little changes in academia. These days, it’s quite common for departments to debate what to do about the departmental photocopier – can we afford a new one? If we can, are we going to get one of those whizzy ones that can scan, and if so, how whizzy do we want to go? Most importantly, who is going to understand how to work the blessed thing once we’ve got it? The women on the staff of Newnham College in 1903 did not need to worry about creating PDFs and having paperless offices, but they did have produce printed material for various teaching purposes – the classicists, for instance, needed stocks of passages for translation from English into Latin and Greek, as well as ‘fair copies’ of what the passage could look like for students to consult after they had made their own attempts. Given the problems we moderns encounter in setting Greek font, I can only imagine the trouble that my foremothers had. It’s quite telling that in one of Winnie Seebohm’s letters home in October 1885, she mentions that Edith Sharpley was “teaching a printer-boy Greek, so that he can set up Greek types and so gain a higher salary” – I suspect that Edith’s motives may have been driven by a touch of self-interest so she had somebody she could rely on to produce the materials she needed. Last week, I had the treat of visiting the Newnham College archives. For a classicist, this is an unusual pleasure – most of the time, particularly for somebody like me who works on Seneca, the relevant material has been available in various editions for many years. The joy that most historians get from uncovering new snippets in archives isn’t something that we get, unless we are working with fragments of papyrus or neglected inscriptions (which, as regular readers have probably gathered, is not where my research interests lie). However, I’ve got myself involved in a new project which means that I get to actually look at the handwriting of real people rather than the printed word for a change. You may remember that just before Easter, I went off to a conference on women as classical scholars. An outcome of that conference is that Edith and Rosie are now putting together a collected volume of essays concentrating on women philologists in particular. And because I observed at the time that it was a shame that there was no coverage of the woman at Oxbridge in the fin de siècle, that means I volunteered myself to write the relevant chapter. Of course, there’s no way that one can do justice to all the varying environments of women’s education at Oxbridge in that period – each college really was its own closed city, with its own attitudes and customs – so I’m narrowing it down to the classicist women at Newnham from the late 1880s to the early 1920s. This has meant reading an awful lot about the general atmosphere of higher education at this period, which is a fascinating subject in its own right, but there’s only so far that reading will get you – at some point you have to actually look at documentation. One thing that I particularly wanted to find out was how extensive the records are about who’s doing teaching when, although I have to admit that the main purpose of my trip was to test the water and see how much stuff there was to get through. A project like this, in a way, will take as much time as you give it – I can prioritise my archive activity to pick out certain things that are important, or decide how much time I actually need to work out what’s there. 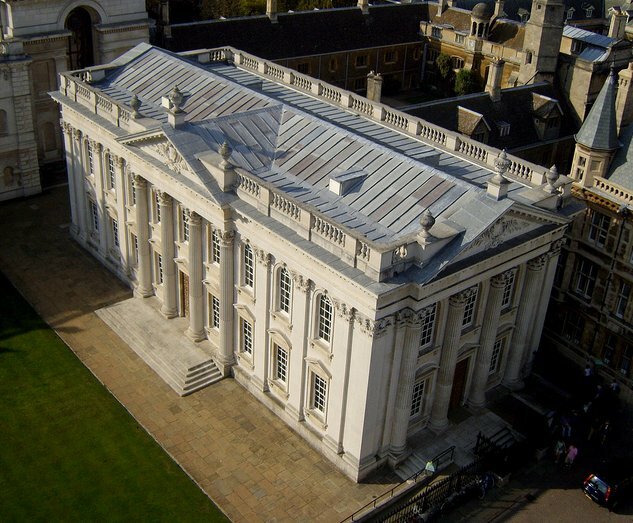 As some of you may have noticed, on Friday and Saturday Cambridge University held an election for its new Chancellor. The new Chancellor, replacing Prince Phillip who is (frankly) getting on a bit, is Lord Sainsbury. I have Issues with this, mainly connected to what I worry will be an overly business-orientated approach to the higher education model, but I’m willing to be proven wrong. I also know that there’s a strong argument to be made about Lord Sainsbury’s contacts within a network which may yield wealthy donors to the university, and I have some sympathy with that approach in times when it looks like universities are going to have to face up to constrained budgets, never mind how I feel about the policies that create that environment. Photo licensed under Creative Commons, courtesy of flickr user James Bowe. I personally felt that while the Brian Blessed camp were going to put up a strong fight, Sainsbury was probably a foregone conclusion (one which Mary Beard is quite glad about). Rather than mull over the results, I wanted to talk about the experience of being part of this election. My time in Cambridge as an undergraduate and an MPhil student was, ultimately, a shockingly unreflective one; coming back as an alumna to be part of something so ancient and ritual-laden as an election of a chancellor after six years in a very different institution gave me some perspective on the whole process.